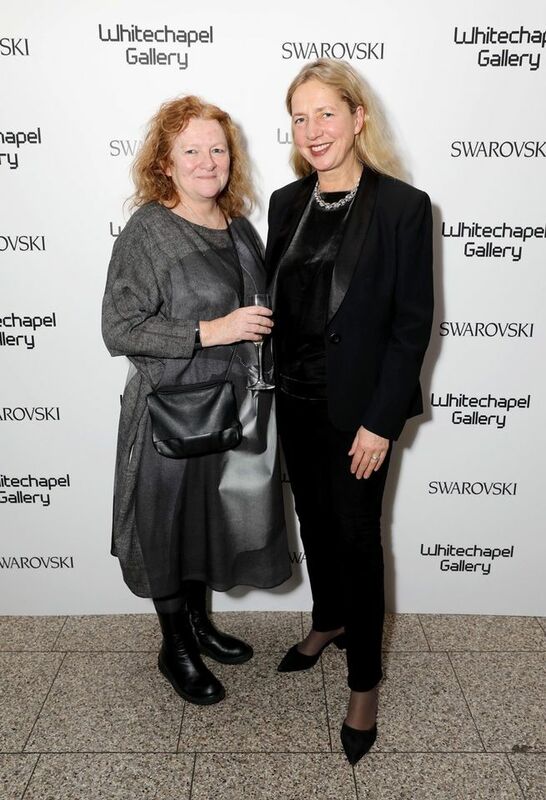 As she was presented with the Whitechapel Gallery’s Art Icon Award on Tuesday night, Rachel Whiteread told the large crowd of supporters—which included fellow artists Richard Long, Alison Wilding, Conrad Shawcross, Helen Marten and Fiona Rae—that although she now lives in North London, her heart remains in the East End. It was certainly appropriate that the Whitechapel chose to honour Whiteread: not only did she live for more than 20 years in nearby Shoreditch and had one of her first showings in the 1989 Whitechapel Open, but she is also literally embedded into the fabric of the building, with her 2012 Tree of Life Frieze scattering a flurry of gold plated bronze leaves over the gallery façade. This was also Whiteread's first permanent public sculpture in the United Kingdom. As well as saluting Whiteread, the gala dinner, held in the main downstairs galleries, was a fundraiser for the wide range of youth and education programmes for which the Whitechapel is so renowned. There was keen bidding at the auction of donated works carried out by Rebecca Tooby-Desmond from Phillips—the star lot of which was a gouache by Fiona Rae. 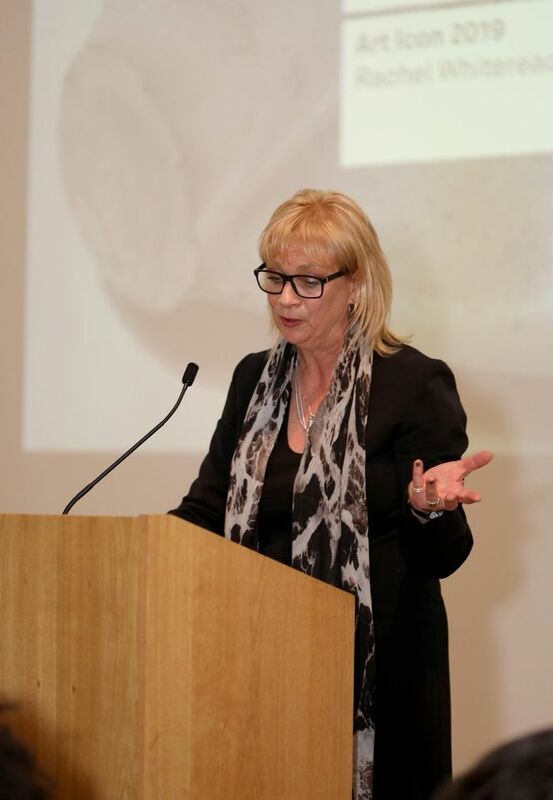 Also donated were two Whiteread-inspired readings from her old friend and dealer, Lorcan O’Neill, and the poet Mark Waldron. Other participating members of the Whiteread/Whitechapel extended family included your own correspondent, who was proud to act as the evening’s MC. We all sat at tables, named after Whiteread sculptures, which were scattered with drifts of crystals provided by the evening’s co-host and long-term Whitechapel supporter, Swarovski. Everyone’s endeavours paid off—the evening raising over £196,000 for the programmes that will carry on benefiting the local Whitechapel community.